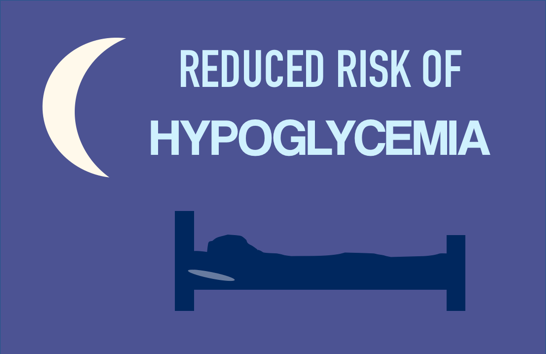 A1c was reduced by the same amount in those taking Tresiba as those taking Lantus, meaning the hypoglycemia reductions did not come at the expense of blood glucose control. By decreasing episodes of severe low blood sugar, Tresiba has the welcome potential to reduce or eliminate many costly and terrifying events. However, DEVOTE did not use CGM (the most accurate CGM available today was not yet approved when the study began! ), so it’s unclear if non-severe low blood sugars also improved for those taking Tresiba. We would certainly guess based on these results that “time-in-range” improved in DEVOTE, though this was not specifically measured. We hope in the future that this metric will be standardized and collected in all trials for at least two weeks, based on what we have seen major professional organizations recommend. Notably, the study also showed that Novo Nordisk’s once-daily long-acting basal insulin Tresiba is just as safe for heart health as Lantus (made by Sanofi). It did not increase the risk of heart attacks, strokes, or death in people with type 2 diabetes, suggesting Tresiba and Lantus are on par with one another when it comes to heart health. Tresiba is approved for use in type 1 and type 2 diabetes for people as young as one year old, can be taken at any time of day, and has the ability to dose more insulin in a single injection (up to 160 units of insulin with the U200 pen). While the DEVOTE study only observed adults with type 2 diabetes who were at high risk for developing heart-related disease and who were taking at least one diabetes medication before the trial started, it’s likely that heart and hypoglycemia-related benefits would apply to everyone. It is also worth noting that A1c levels remained the same for people taking Tresiba and Lantus, despite the reduction of severe hypoglycemia seen with Tresiba. This underscores the message of the growing “outcomes beyond A1c” movement, which emphasizes that A1c alone as an outcome measure for diabetes is necessary but not sufficient enough to evaluate the value of therapies to people with diabetes, particularly as it relates to day-to-day quality of life (read more in diaTribe’s Beyond A1c piece here).